Happy Monday!! 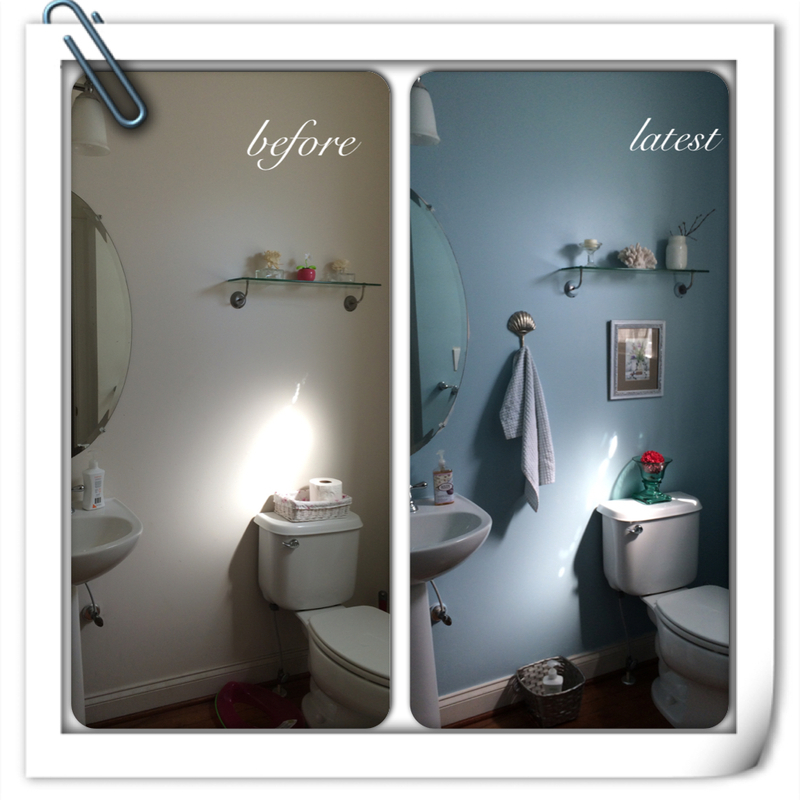 I would like to share my powder room mini update with you today. I made some subtle changes to the layout . 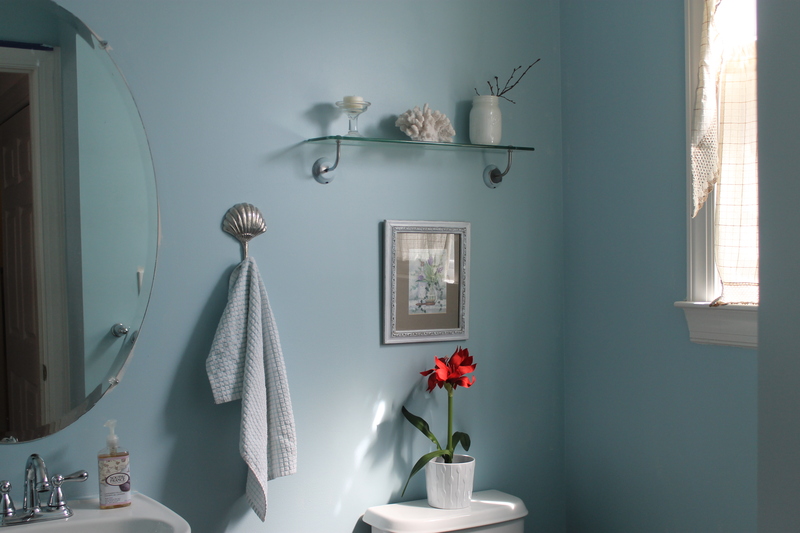 The color scheme is blue,white,silver and one or two bursting color objects,to bring everything together. You can read before story here and here. My to go places for home decor are homegoods,marshalls and ross stores. They have pretty stuff for very little price. Found this shell hook at Marshalls. They also carry in conch,starfish. Like the idea of hanging next to the mirror . 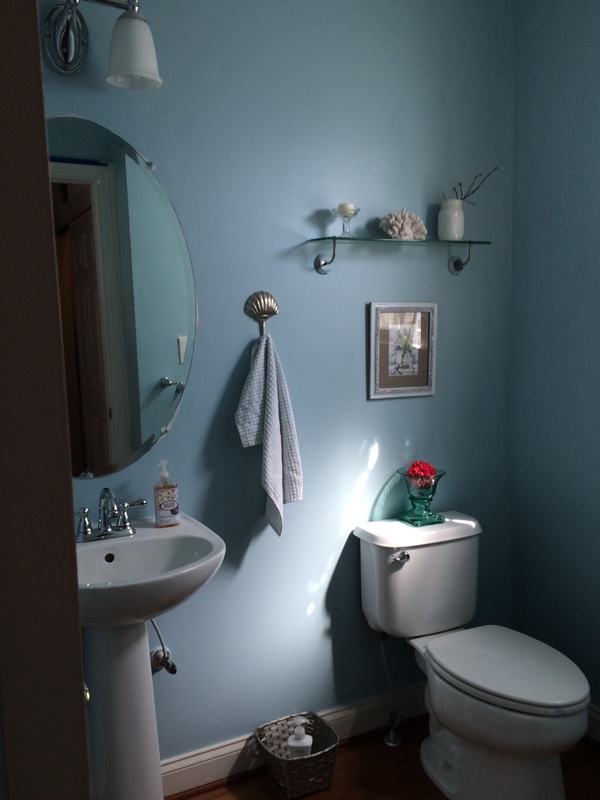 Since there is also a towel bar on the other side of the wall for the kids to pull the hand towel, this will be in place(i guess,haha). 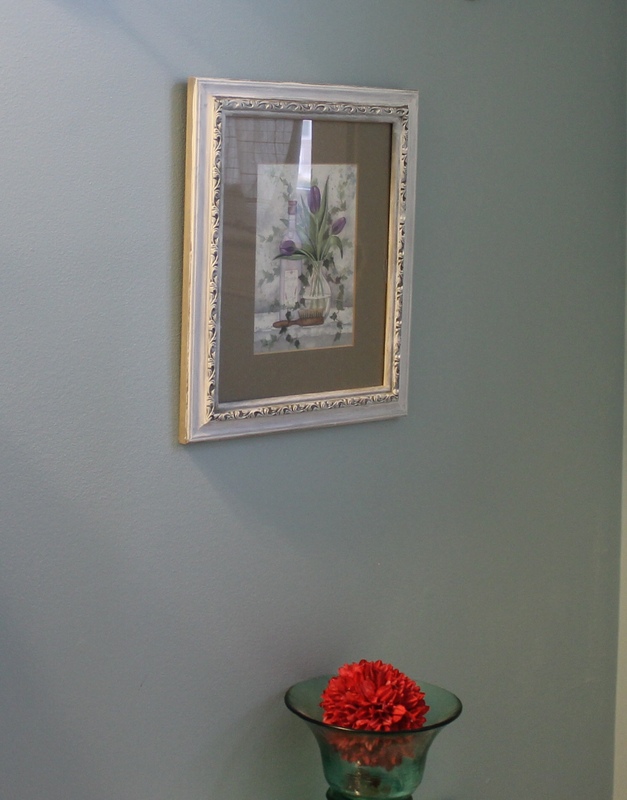 I moved this frame from the opposite wall just to see whether it can house well in this spot. I bought it at JCPenney when we build this house. I did give a coat of white acrylic paint to make look even brighter from brushed gold originally. I’m a huge of mason jar craft : ). How a glass jar becomes so fun when changing it with just a touch of paint. I did use the white acrylic paint, a dash of it to the inside of the jar and played around with the thin paint brush and a few secs later, it looks like this , i added littlest branches from the tree : ). Love to do one in tinted too. Tried this layout with the IKEA plant pot, loved it with the red amaryllis ,but thought the scale is little bigger than expected. So switched with this blue candle holder with the red styrofoam ball. 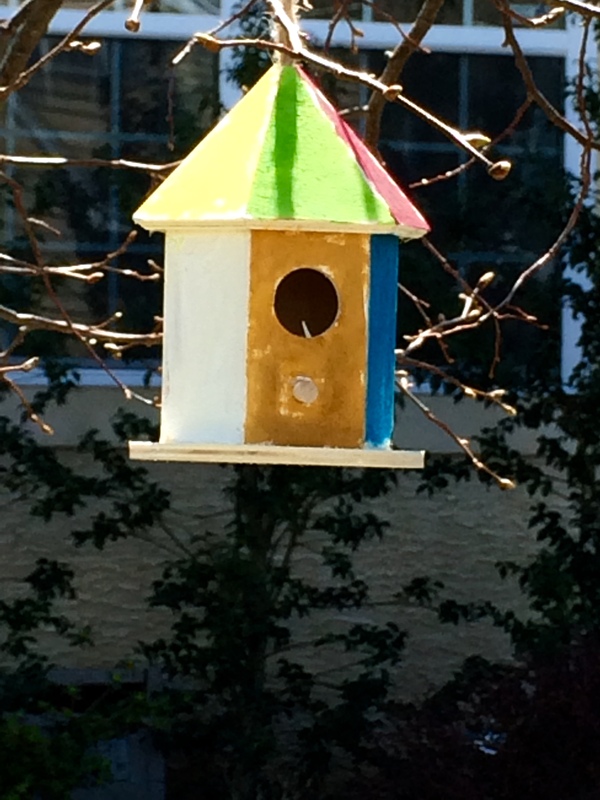 While i was working on another blog post, my little one painted this birdhouse as she calls it her “project”. I know she is already Miss. Twenty One,haha. Thanks for stopping by and for the read! !